Yellow or stained teeth can often be embarrassing. They can be caused by many things such as unhealthy oral hygiene, indulging in excessive tea, coffee or tobacco chewing, acidic drinks, smoking, certain medication and illness. Our teeth are coated with a shiny protective shield known as enamel. Below this is a yellow layer known as dentin. Excessive intake of certain foods strips the enamel layer revealing the dentin below. Natural remedies are the best way to have whiter teeth as they don’t contain any harsh chemicals. Baking soda or sodium bi-carbonate is a chemical with a weak alkaline compound that looks like white crystals. This baking soda has innumerable household uses and whitening teeth is one among them. It has an anti – bacterial property that kills bacteria. It has a mild abrasive property to remove the stains from teeth. It acts as natural teeth whitener and prevents the teeth from staining again. It releases free radicals when dissolved in water. If you apply this solution on teeth, then the free radicals will interact with the stain causing molecules on the teeth enamel. It also clears the plaque from teeth which in turn help to prevent teeth from decaying and freshens breath. It neutralizes the agents which are causing discoloration and foul odors. Mix 1 teaspoon of baking soda with water to make a thick paste. Brush your teeth with this paste three times a week. You can also directly apply baking soda to teeth and leave for 2 minutes. Then brush your teeth with a toothbrush. Alternately dip a wet toothbrush directly on baking soda and then use this to brush your teeth. Lemon acts as bleaching agent with its citric nature, salt acts as an anti – bacterial mouth wash and baking soda balances pH levels. Mix a small amount of baking soda, fresh lemon juice and salt. Use this to brush your teeth, followed by regular toothpaste. Or brush your teeth by mixing baking soda and lemon juice. Or you can apply lemon juice mixed with water on the teeth and leave on for 5 minutes, then brush your teeth with a paste of baking soda mixed with water. Then rinse your mouth with water. Alternately you can brush your teeth by using a paste made with 2 – 3 drops of calamansi or lemon juice in 1 teaspoon of baking soda and a few drops of water. Make sure to rinse your mouth well. Do the same process for once or twice a week. Mix white vinegar and fresh lemon juice in 1 teaspoon of baking soda. Apply this paste on the teeth. Brush your teeth then rinse with water. Or use hydrogen peroxide instead of white vinegar. Mix 1 teaspoon of baking soda with regular toothpaste. Use this to brush your teeth thoroughly. Or you can brush your teeth with baking soda first followed by your regular toothpaste. Use twice a day for 2 – 3 days and once a week after that. Salt restores the lost minerals in teeth and whitens them. 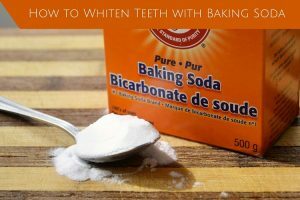 Mix baking soda with salt in 3:1 ratio and use this mixture to rub gently on the teeth. Or make a paste by mixing 5 teaspoons of baking soda, 1 ½ teaspoon of salt and 1 teaspoon of regular toothpaste and use this paste to brush your teeth. Alternately, add 1 teaspoon of baking soda with 1/2 teaspoon of vinegar and a pinch of salt to make fine paste. Use to brush your teeth normally before rinsing with water. Spread the remaining mixture on all over your teeth and let it sit for about 3 – 5 minutes before washing with water. Strawberries contain vitamin C and acts as astringent agent that breaks down the plaque. Berries also have malic acid (an enzyme) that removes surface stains. Salt acts as abrasive portion of paste that scrubs away the stains. Mash 2 – 3 large strawberries and extract its pulp. Add 1 teaspoon of baking soda and a pinch of salt. Apply this paste on the teeth with a toothbrush. Leave on for 5 – 10 minutes then wash thoroughly with water. Or rub a piece of strawberry sprinkled with baking soda on your teeth. Aloe vera cures many gum diseases due to its anti – inflammatory and anti – bacterial properties. Vegetable glycerin helps to remove plaque. Extract a gel from the fresh aloe vera leaf and add small amount of vegetable glycerin to it. Use this paste to clean your teeth for a few minutes. Wash your mouth thoroughly with water. Note: You can add a few drops of peppermint oil instead of aloe vera gel and 1/2 teaspoon of salt. Turmeric has anti – septic, antibiotic and anti – inflammatory properties and coconut oil draws bacteria from mouth. Mix 4 tablespoons of organic turmeric root powder with 2 teaspoons of baking soda and 2 ½ – 3 tablespoons of virgin coconut oil. Use this paste as toothpaste. Store the remaining paste in an airtight container. You can easily find this peroxide in most drug stores. For oral usage, you have to use 3% solution. Mix 1 teaspoon of baking soda with 1/2 teaspoon of hydrogen peroxide to make a paste. Brush your teeth with this paste and let it sit for a minute or two. Rinse it off with water then use a mouthwash. Note: You can also add 2 drops of mint flavored mouthwash to above mixture. Or Mix 4 teaspoons of baking soda, 1 teaspoon of diluted hydrogen peroxide and 4 drops of peppermint oil and use this to brush your teeth. This process has to be followed regularly. This not only whitens the teeth but also strengthens them. Mix 3 teaspoons of baking soda, 3 teaspoons of glycerin and 1/2 teaspoon of salt (or) 1 teaspoon of hydrogen peroxide. Use this paste to brush your teeth regularly. Coconut oil has anti – bacterial, anti – microbial, anti – fungal and anti – inflammatory properties that destroy the bacteria. Mix 2 tablespoons each of baking soda and coconut oil together. Add 10 drops of peppermint oil (optional) to form a paste. Store in an airtight container, brush your teeth with it regularly. Continue brushing with this regularly. Note: You can use 1/4 teaspoon of 3% hydrogen peroxide and a little of Xylitol or stevia (optional) with spearmint oil instead of peppermint oil. Apple cider vinegar also acts as natural teeth whitener. Mix 1 part of baking soda in 2 parts apple cider vinegar. Or you can use this solution to gargle to get the same effect. Mix 2 – 4 drops of apple cider vinegar, 1 teaspoon each of baking soda, sea salt and water to make fine paste. Use this to brush your teeth twice a week. Sage has antibiotic, anti – fungal and astringent properties that cleanse the teeth to make them visibly whiter. Mix powdered sage leaves, baking soda and water together. Ginger and peppermint oil fights against bacteria causing plaque. Salt tightens the gums to prevent the yellow discoloration. Mix 2 tablespoons of baking soda, 1/2 teaspoon of sea salt and 1/4 teaspoon of powdered ginger in an airtight container. Add 3 to 5 drops of peppermint oil in it. Add 1/2 teaspoon of this mixture to your regular toothpaste. Brush your teeth regularly with this, using a fresh bit each time. Neem bark powder has natural anti – bacterial and anti – microbial properties that not only makes teeth appear white but also strengthens it and freshens the breath by preventing cavities, gum diseases and inflammations. Mix 1 teaspoon each of baking soda and neem powder together. Add 1/2 teaspoon of water and stir to make a paste. Use this to brush your teeth. Rinse your mouth thoroughly and repeat regularly. You can add a drop of peppermint oil to enhance the taste. Mix 1 tablespoon each of baking soda and calcium, 1 teaspoon each of neem, sea salt and peppermint oil and 1/4 teaspoon of spirulina. Use this to brush your teeth regularly. Tea tree oil has anti – bacterial and anti – fungal properties that make the teeth look white by preventing teeth and gum problems. Mix 2 – 4 drops of tea tree oil in 1 tablespoon of baking soda. Note: You can use 2-3 drops of peppermint oil or any other essential oil in the place of tea tree oil. Mix 1 tablespoon of baking soda and 1 ½ teaspoon of hydrogen peroxide in cold water and stir well. Use as a mouthwash to rinse your mouth 2 – 3 times a day. Or add baking soda in cold water and use this as mouthwash. Continue doing this process daily. Follow these tips and precautions for a faster and safer way to get whiter teeth. Salt might harm your gums and enamel, so avoid using this salt with baking soda remedies regularly. Use baking soda with caution to prevent damage. Always be sure to spit out the baking soda and rinse your mouth thoroughly with water or mouthwash. Wash your brush thoroughly as well. Brushing your teeth with baking soda will not replace brushing with regular toothpaste. Brush your teeth immediately after brushing with baking soda and lemon. Never ever use baking soda continuously, as it damages the teeth. Use this once or twice a week at first and then continue this occasionally. You can also use abrasive toothpaste or toothpaste which has baking soda as one of the main ingredients. Make sure to consult your dentist, if you don’t get any results or experience side effects. It has mild abrasive property that can cause damage to the enamel. It doesn’t contain any fluoride content which is used to strengthen the teeth to prevent teeth from dental cavities. So, you have to use regular toothpaste as well. If you have braces which contain orthodontic glue or using permanent retainer, then avoid brushing with baking soda. It is not approved by American Dental Association (ADA) for using to brush your teeth. We recommend you to clean your teeth after having meals. Additional benefits will come from drinking a lot of water, brushing your teeth twice a day, avoid drinking alcoholic beverages and quit smoking. If you had any dental implants recently or using dental fixtures then we suggest you to consult your dentist before following any of the above remedies. Do you know any other baking soda teeth whitening remedies? 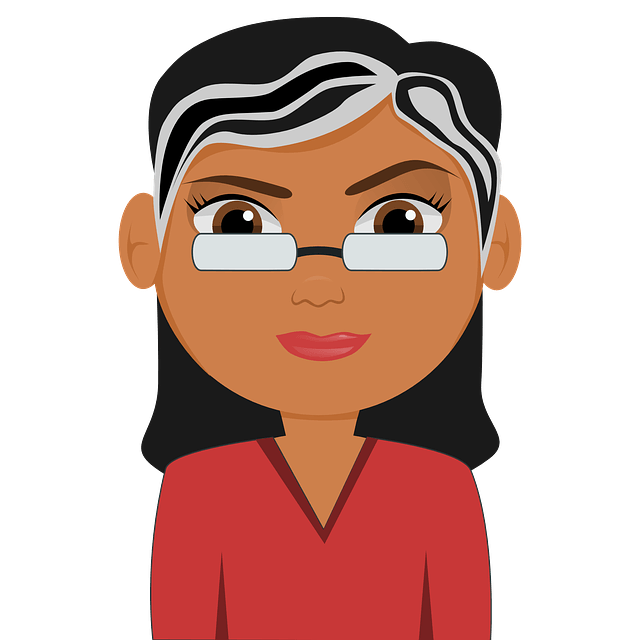 Please feel free to share your experience with us! we would suggestion not try baking soda for teeth whitening if you have dental fixtures. They may not hold the abrasive nature of baking soda. Shud i brush my teeth with baking soda and lemon after or before meals? If i brush my teeth how long should i wait before eating again or i can eat normally? You can brush with the mixture once in the morning before breakfast. You have to wait for at least 30 minutes before having your breakfast. If you use baking soda and salt daily then it can erode your tooth enamel. So it is advised to use it once in a while. Recently I did Filling to my Teeth. Can I use this baking soda once in a week? And I am having doubt that can I apply this to my tooth? I mean isn’t it harmful for Teeth? Usually, baking soda doesn’t negatively impact the dental fillings. So, you can use it safely to whiten your teeth. But make sure to avoid scrubbing harshly on the tooth with filling. If you have ceramic braces then we recommend avoiding baking soda application. However, it is better to check with your orthodontist or dentist first. I have a jacket teeth, can i still use baking soda? If you have jacket teeth then avoid using baking soda for teeth whitening and consult your doctor. Hello……Is it safe for me to use baking soda with the water mixture once every morning for one week? Instead of using daily, it is better to use it only 3 times a day. As baking soda can be harsh on the skin if used regularly. Hi, I have horrible teeth and I need fast action. I’m using the peroxide and baking soda method but seeing 0 results, I use it after I brush my teeth every 3 days. Help. can i use calamansi juice instead of lemon juice ? Can i used the regular toothpaste to mix with baking soda? How often can i used the mixture? Can i use regular toothpaste to mix with baking soda? And how often can i use it? Can u help me? Is it safe?